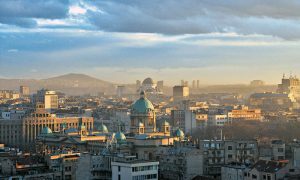 Our professional Serbian NAATI translators can perform different Serbian translation services to the highest professional levels. You will be confident that you will only receive an accurate, high quality and 100% error-free translation. There’s no need to wait. Receive your free quote within 15 minutes by completing the online enquiry form on this page. Do you need a Serbian NAATI Certified Translator? If you are in need of a Serbian NAATI translated document for business, legal, personal and immigration purposes, our Serbian NAATI certified translators are capable of producing Serbian translation services that are accepted by the various authorities that need NAATI Serbian translations. A majority of Australian government departments and authorities require Serbian documents to be translated into English by Serbian NAATI certified translators. With our team of highly skilled translators and experienced project managers, your translations are in good hands. Why not avail of our Serbian translation services today? Sydney Translations is the leading and one of the most affordable Serbian translation services provider in Sydney. Just fill in your details on the translation form located on this page, and we will email you a firm quote in as fast as 15 minutes! Sydney Translations provides Serbian translation services for all sorts of document types in Serbian to English and English to Serbian language. Our Serbian NAATI translators are capable of translating documents such as academic transcripts, divorce decrees, marriage certificate, university certificates, ID cards, police checks and many more! Inquire about our other services via the Live Chat. We are available 24 hours and 7 days a week to answer all your queries. Receive a firm quote in only 15 minutes by completing the online form and attaching a copy of your document on the online enquiry form you see on this page. We will send you your exact estimate through email. If so, you’re in luck, we provide Instant and Express Serbian translation services where you can receive your translation in under 24 hours. Let us know what you need, and we’ll be glad to assist you. Interested in our Serbian translation services? Follow the simple steps below to request for a translation. Complete the online quote form located on this page. Fill in your details and wait for our email. We will get in touch in 15 minutes to provide you with a firm quote. We will start with the translation upon verification of your payment. Once your translation is complete, we will ask you to review and approve it by sending you a copy of the translation’s draft via email. If you approve of the document, we will send you the final document translation through email and a hard copy by post. Viola. You now have a NAATI certified translation in your email and mailbox. 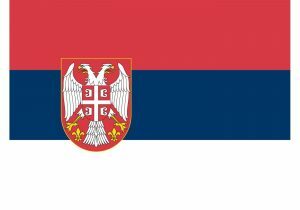 The Serbian language has been derived from the Shtokavian dialect. Because of these, speakers of both languages can understand one another. Other than Serbia, other places like Croatia, Romania, Herzegovina, Bosnia and has listed the Serbian language as an official or secondary language. A “one letter per sound” principle is used for the Serbian orthography. Serbian’s five vowels are all considered as monophthongs. The English language has borrowed several Serbian words such as paprika and vampire. Get a detailed estimate from our online form in as fast as 15 minutes!